Home > Events > Making Sense of Trusts –Tax and Tax Planning–a back to basics course! Making Sense of Trusts –Tax and Tax Planning–a back to basics course! Many accountants have a fear of trusts. This is not unnatural as they can appear complex. Accordingly they and their clients can miss out on some really useful structures to help protect family wealth and that can achieve tax efficiencies. This is even more important as HMRC clamps down on many areas of tax planning. This course is a “back to basics” course on Trusts. 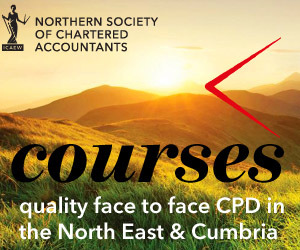 Clearly delegates need to know a bit about tax but no knowledge about trusts will be assumed as the course is aimed at demystifying the subject matter leaving delegates confident in advising the clients about trusts. Unfortunately, whilst the taxation of Scottish Trusts is similar to that of English and Welsh ones, the trust law of Scotland is very different and cannot be covered as well in just a half day course. This course is specifically designed to meet the needs of general practitioners. A good working knowledge of the tax system is needed but little or no knowledge of the law or taxation of trusts is assumed.